The agreement to repatriate [Ahmed Mohammed] al-Darbi was made under President Barack Obama, whose administration sought to gradually winnow down the prison population in hopes of eventually closing the detention center. Trump reversed that policy and has vowed to continue using the detention center. Darbi, 43, pleaded guilty to charges that included conspiracy, attacking civilian objects, terrorism and aiding the enemy for helping to arrange the 2002 al-Qaida attack on the French tanker MV Limburg. The attack, which killed a Bulgarian crew member, happened after al-Darbi was already in U.S. custody and was cooperating with authorities, according to court documents. The Pentagon announced the transfer after the detainee had already left the Guantánamo Bay detention center. The detainee “admitted to war crimes and testified against other al-Qaida fighters” in connection to the 2002 al-Qaeda attack against a French-flagged oil tanker off the coast of Yemen, the Miami Herald notes. As part of his guilty plea, the Pentagon prosecutor agreed that, in exchange for truthful testimony, he would return to his homeland on Feb. 20, 2018, to serve out his prison sentence in a Saudi rehabilitation center for captured jihadists. Analysts have noted that Saudi Arabia’s jihadi rehabilitation facilities, namely the Mohammed bin Nayef (MBN) Counseling and Care Center, provide luxury treatment to members of al-Qaeda, Taliban, and other terrorists there. 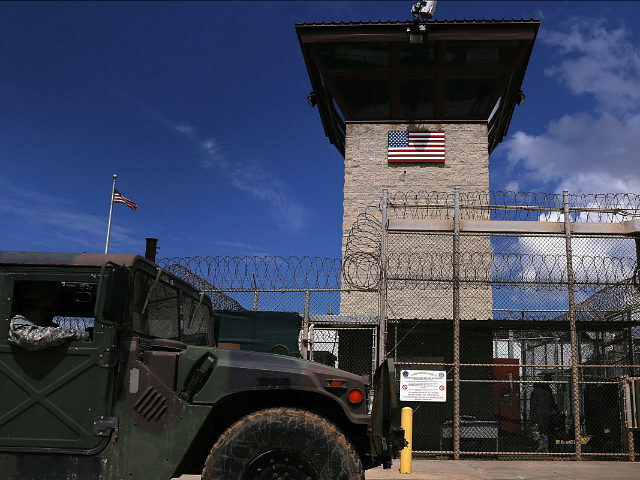 News of the recent transfer surfaced as U.S. Secretary of Defense Jim Mattis reportedly presented the White House with guidance on how Guantanamo, commonly known as Gitmo, might start housing new inmates — a goal often expressed by President Trump. In sworn testimony, Darbi described himself as a years-long, committed jihadist who became enough of an al-Qaida insider to turn prosecution witness and identify Osama bin Laden’s inner circle in photos beamed inside the court. He was convicted for his role as, essentially, a procurer for navigational equipment, including a boat, to be used in al-Qaida missions attacking commercial ships in and around the Arabian Peninsula waters. Darbi accused the U.S. military of torturing him while in custody. After his conviction at Guantánamo, he got a comfortable cabin-style lockup across the street from the other general population prisoners, that came with privileges. He gardened, painted, worked on his English, watched “Arrested Development” and had a refrigerator stocked with fresh food that let him cook meals for his interrogators and attorneys. U.S. President Donald Trump has blasted the Obama administration for freeing Gitmo prisoners, during its tenure, noting that some of them are known to or suspected of having re-engaged in jihadi activities. Darbi’s transfer comes amid a Guantánamo “resettlement system” that “is starting to collapse under President Trump” as reported by the New York Times (NYT) in late April. After the recent Gitmo transfer, the population at the Guantánamo prison stands at 40 with more than half of the detainees, about 26, deemed by authorities as “forever prisoners” or too dangerous to release. The Trump administration revealed a few months later, in March 2017, that it was “moving forward” with 43-year-old Darbi’s release. In March, President Trump expressed an interest in sending newly captured jihadists linked to al-Qaeda and the Islamic State (ISIS/ISIL) to the prison. His administration was planning to spend up to $500 million on upgrading the Guantánamo detention center. Critics contend that the U.S. is devoting too much money (an estimated $445 million annually in 2015 alone) to operate the facility. Applying that operation cost figure to the number of detainees now — comes out to more than $10 million per prisoner each year.